The marinade for the chicken was inspired by a recipe I found. I tweaked it a bit for my tastes until it came out perfect for us. 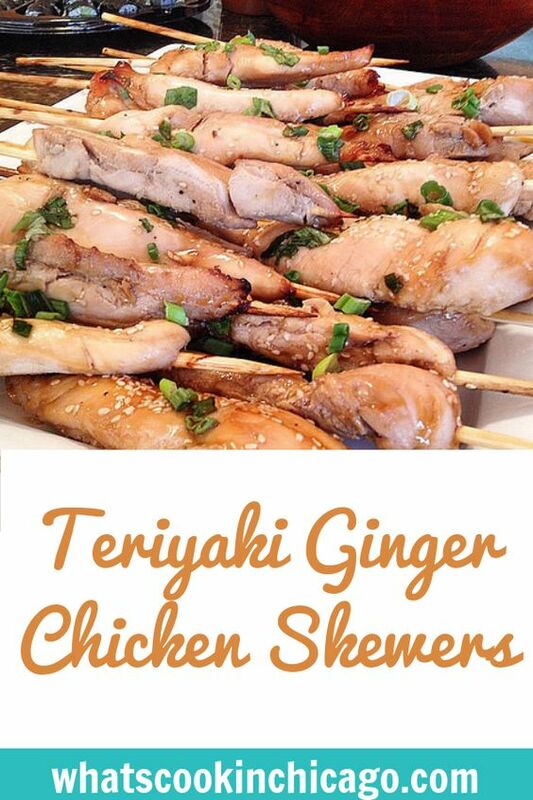 This also works nicely with pork and beef, but chicken breast definitely is our favorite protein to use in the recipe. To serve, we enjoy this with steamed brown rice and a green salad. The skewers make for a great appetizer too for those summer and cocktail parties! In a medium bowl, whisk together the marinade ingredients and transfer mixture into a gallon sized storage bag. Add the strips of chicken breasts to the marinade, seal and chill for 6-8 hours or overnight. 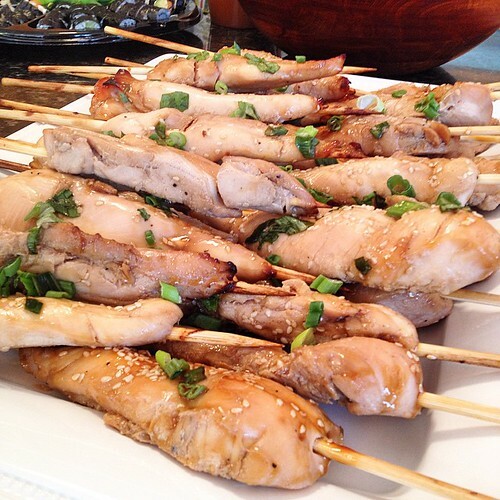 Remove chicken from marinade and thread onto soaked bamboo skewers. Grill skewers over medium high heat for 5-7 minutes or until cooked through. * If you don't have a grill, you can also bake these in a 350 degree oven for 12-15 minutes or until the chicken is cooked through.